For ease of cleaning, non- glazed tiles with a damp sponge soaked in advance . 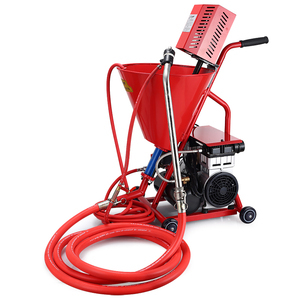 2:Formulated sealant The required proportion of water into the bucket , using electric mixer , will tile grout powder into the water , the side feeding while stirring, mix well. 3:Caulk With rubber sealing knife, mixing well colored tile grouts the tile along the diagonal direction pressed into crevices , filling the gap , and then scrape the excess part of the surface . 3. Joints sealing of ceramic, concrete, ventilation and air conditioning system . 3. It is not suitable for areas where soaking long time. Logo and packing design need to be provided so as to make customized brand name. 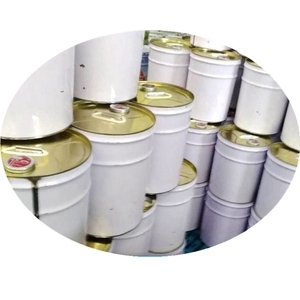 Maydos Tile Adhesive Maydos,The Best and first choice for you--Professional manufacture of all kinds of paint and adhesive Cell phone for 24 hours: 0086-15013002770(Miss. Cathy Wang) Company Address: Sanzhou Industrial Zone, Lunjiao, Shunde, Foshan City, Guangdong Province China Company Profile: Certificate: Tile Grout: Description: TA-513 is a kind of high quality environment-friendly waterborne powder which can be mixed with water and used for bonding ceramic tile on the surfaces of wall, ground and floor. 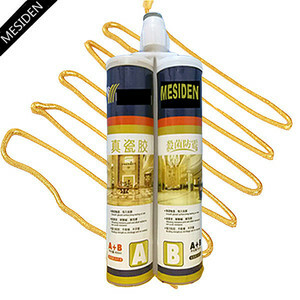 adhesion Where to use: For wall surface: To bond ceramic tile (maximum is 60X60cm) on the concrete or cement sand rendering. 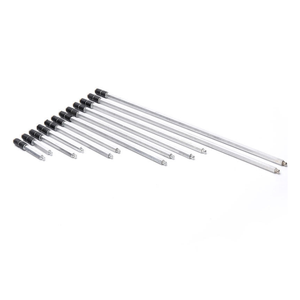 Features 1.One component, easy application, no solvent, no toxicity after curing, environment friendly. Usage 1.Suitable for expansion joints and settlement joints sealing on road, airport running way, building roof and basement. * This product is innocuous after curing completely, but before set, please avoids contacting with eyes and skin. 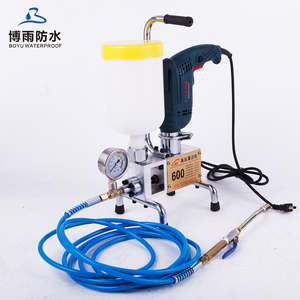 Product Feature 1,Low viscosity, quick reaction in water, forming impervious elastic colloidal concretion body by reaction with good water sealing performance. Preventative waterproofing products are wildly used during new construction and are usually installed by the general contractor. Remedial waterproofing products are mostly used when major (or minor) water leaks happen at a later stage and are usually applied by specialist applicators. Suzhou Jiuju Environmental Technology Co., Ltd.
Alibaba.com offers 7,412 waterproof grout products. About 30% of these are adhesives & sealants, 11% are other waterproofing materials, and 6% are other construction machinery. A wide variety of waterproof grout options are available to you, such as free samples, paid samples. There are 7,347 waterproof grout suppliers, mainly located in Asia. The top supplying countries are China (Mainland), South Korea, and Hong Kong, which supply 96%, 1%, and 1% of waterproof grout respectively. Waterproof grout products are most popular in Domestic Market, Africa, and Southeast Asia. You can ensure product safety by selecting from certified suppliers, including 1,487 with ISO9001, 1,081 with Other, and 235 with ISO14001 certification.